Our clients usually call us up for siding repair because they think that their siding isn’t as energy efficient as it could be. Often when we conduct the inspection, we find that they actually have vinyl siding, which isn’t known for being particularly energy efficient. This isn’t completely accurate, however; vinyl siding actually can be pretty efficient in this regard. Of course, vinyl siding wouldn’t have built up such a reputation if there wasn’t a reason behind it. Much of your run-of-the-mill vinyl siding is thermally inefficient; unlike most other materials on the market, it isn’t built to prevent heat transfer from the inside of your home to the outside. Regular vinyl is thin and light, which makes it easier to install, but inadequate for the purposes of energy efficiency. However, there is a variant of vinyl siding that’s great for siding repair due to its energy efficiency. This variant is called insulated vinyl siding, or thermal siding. This versatile material combines the lightweight nature of regular siding with many of the properties that you’d expect from wood or fiber cement, which includes increasing your home’s energy savings. Thermal siding has an extra layer of foam insulation, which prevents heat from easily passing through the siding. When combined with the original insulative properties of the walls of your home, this extra layer forms a cocoon of heat insulation throughout the entirety of your home’s structure. This is the continuous heat insulation provided by insulated vinyl siding. We love telling our clients about the vinyl siding repair alternative that can wrap their homes in a complete bubble of heat insulation. The R-value of thermal siding (the scale that rates the insulative properties of materials) is at a 5 or 6, which is a pretty high rating for vinyl. While vinyl siding still gets a bad rap in regard to its insulating power, the rating of thermal siding disproves the belief that vinyl is not energy efficient at all. 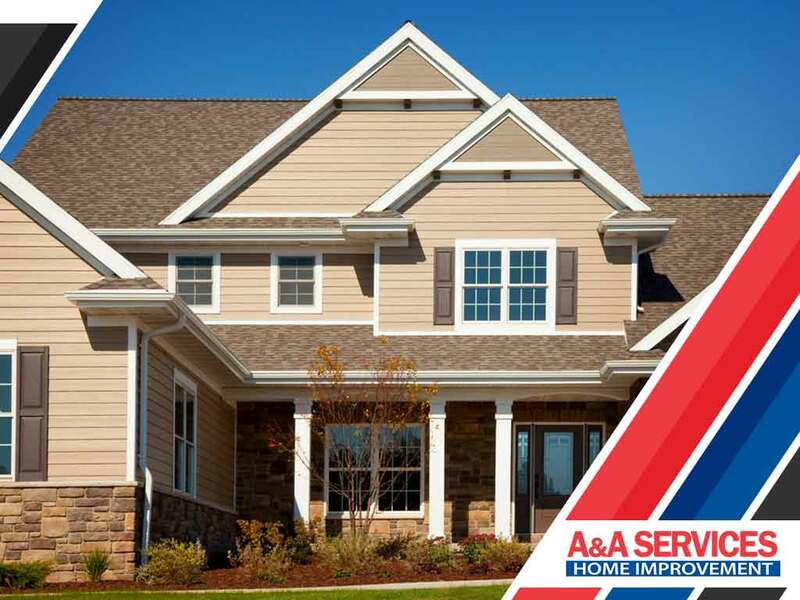 Trust A&A Services Home Improvement for all your siding needs. We’d love to be given a chance to change your mind about the insulative value of vinyl siding. Give us a call at (978) 219-2343 to find out more or schedule a meeting. Alternately, you can fill out our contact form. We serve residents of Salem, Peabody, and Andover.